Rio has 831 public bus routes that go to just about all the points of the city. Navigating the bus routes can be quite confusing as some bus lines have variants. These variants are indicated by an asterisk or a letter. Most of the buses are numbered according to their routes. It’s recommended to avoid going by bus to places other than the touristic ones. The buses numbered 583 and 584 are most common for visitors to ride. These routes run from Copacabana and Ipanema to the Corcovado train station. Another popular route is 464 and 435 that run from Maracana to Copacabana. Buses 512 & 511 take visitors to the cable cars that run up Sugar Loaf Mountain. 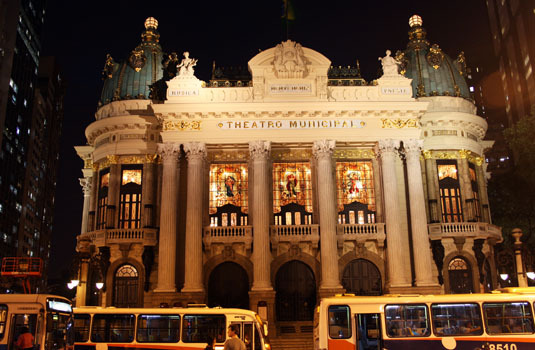 To reach Lapa from south zone by bus you can get 409 (Jardim Botânico – Tijuca), 433 (Leblon – Vila Isabel) and a few others. 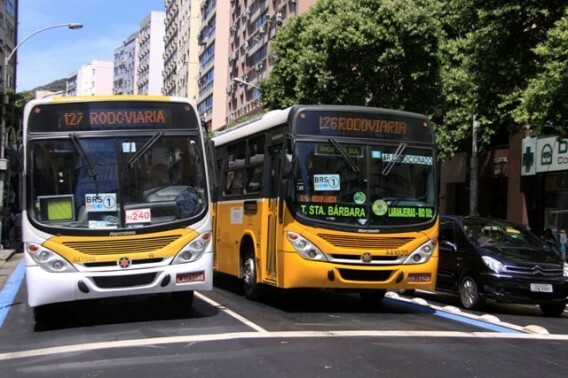 You can get information of routes at Rio Ônibus Website, the governmental company that administrate the buses in Rio. 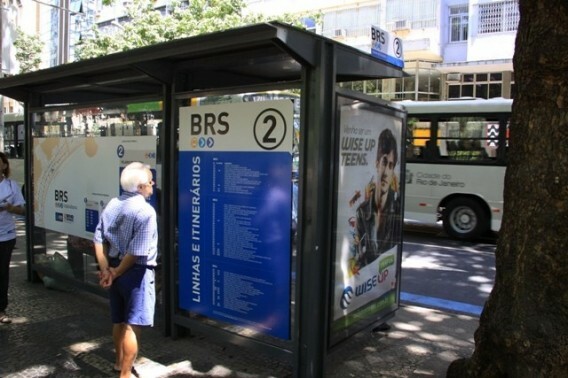 In preparation to the 2016 Olympic Games the city of Rio started to implement the BRS (Bus Rapid Service) in the South Zone of Rio. The exclusive line for buses started in Copacabana and now is in operation in Leblon and Ipanema as well. The buses now do have a station where they stop, not like before when they stop wherever a passenger were. Don't worry, you will be able to learn where is the closer station to either your local of departure or final destination on the site above mentioned or at the bus stops. Buses are the easiest and least expensive way to get around Rio. Keep in mind that they are harder to find at night as many of the bus routes shut down. The fares start at R$2.40 and must be paid in cash to the driver. Watch your wallet, as pickpockets are known to ride the bus looking for easy marks. It is proper to board the bus through the front door and leave the bus by the back door. Keep in mind the bus will only stop if you wave them down. Even if you are standing at a bus stop you must indicate that you want the bus to stop. When taking public buses, be sure to stay alert. It is best to remove money from your wallet prior to boarding the bus so pickpockets cannot see where you keep it. The buses usually run 15 minutes apart on busy routes and up to an hour apart at night or in suburban areas although there are no guarantees. Find out about the timings of the bus and the route you need to catch before your trip.